The Pacific War Online Encyclopedia: Theobald, Robert A. Naval Historical Center #NH 42048. "Fuzzy" Theobald was a portly, caustic, but highly intellectual officer who apparently based some important command decisions on what he thought it was sensible for the enemy to do, rather than on what intelligence showed the enemy was actually doing. When his cruiser-destroyer force was sent to the Aleutians to oppose a Japanese secondary attack during the battle of Midway, Theobald concluded that no intelligent Japanese commander could seriously consider attacking Attu or Kiska when Dutch Harbor and Kodiak Island were so vulnerable. He was right and wrong: The secondary attack was poor strategy, but the Japanese did it anyway. As a result, Theobald's task force was stationed a thousand miles away from the scene of the action. In fact, Theobald's force was in the Gulf of Alaska, south of Kodiak Island, 500 miles from Dutch Harbor. Intelligence showed the Japanese force included two carriers, and Theobald had no intention of confronting a carrier task force with his small surface force until land-based aircraft had whittled the carriers down to size. Theobald continued to command North Pacific Force until 4 January 1943, when he was relieved by Kinkaid. 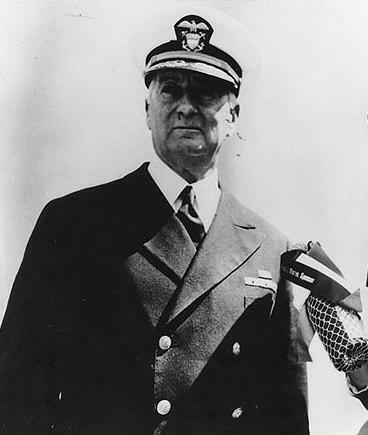 He was continually at loggerheads with Buckner, the Army theater commander, and hated his assignment so much that did not even mention Alaska or the Aleutians in his official Navy autobiographical sketch, stating that he spent 1942 as "a member of Admiral Nimitz's staff." Theobald was an old friend of Ernest King, but when he questioned King about his removal from command in the Aleutians, King bluntly told him that he had done a substandard job and had needlessly aggravated too many of his Army and Air Corps counterparts. Theobald never received another sea command. He was given command of 1 Naval District in Boston, was relieved of active duty in October 1944, and was officially retired in February 1945. Theobald was described by Morison has having "one of the best brains and worst dispositions in the Navy." He gained some notoriety after the war by publishing a book in which he claimed that Roosevelt had advance knowledge of the attack on Pearl Harbor. This has been a staple of revisionist historians over the years, in spite of the lack of any compelling evidence.